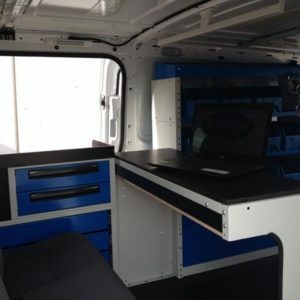 Shelves with chamfered side plates are a great way of exploiting the full height of your van, whatever the model. These shelves fit at the top of the van’s side walls, right under the roof and turn an otherwise unused space into practical storage. 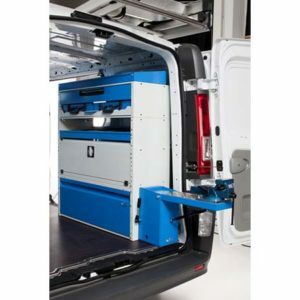 One of the features that make Syncro van storage systems stand out from the competition is their ability to offset modules one with respect to another. 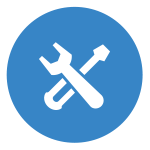 What exactly does offset installation mean? Most van side walls are curved rather than perfectly vertical. 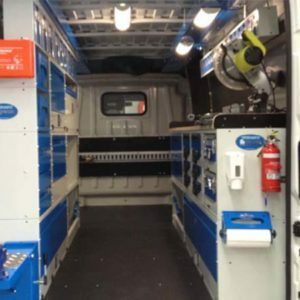 To follow the profile of the side walls while maintaining a continuous vertical surface towards the inside of the van, columns of storage cabinets can be assembled from modules of different depth. 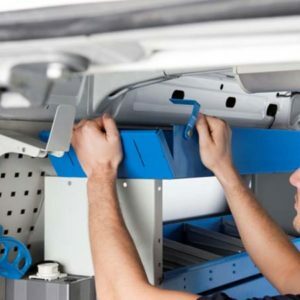 The same technique can be used to install storage systems around components like spare wheels and wheel arches. Offset configurations are made possible by the clever, modular design of Syncro storage. The shelves, drawers and lockers in the Syncro catalogue are designed and made in modules of different height, width and depth. They can therefore be assembled in many combinations and with offsets in all directions. Thanks to this unique, modular design, an almost infinite number of configurations can be created from just a few basic components. 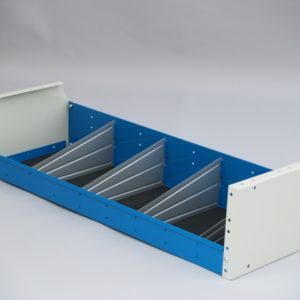 Viewed from the side, the trays of Syncro System shelves are trapezoid in shape: the front is lower than the rear to give easy access to contents. 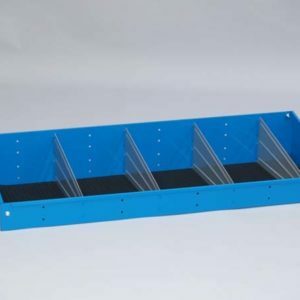 Dividers for organising shelf space share the same shape. 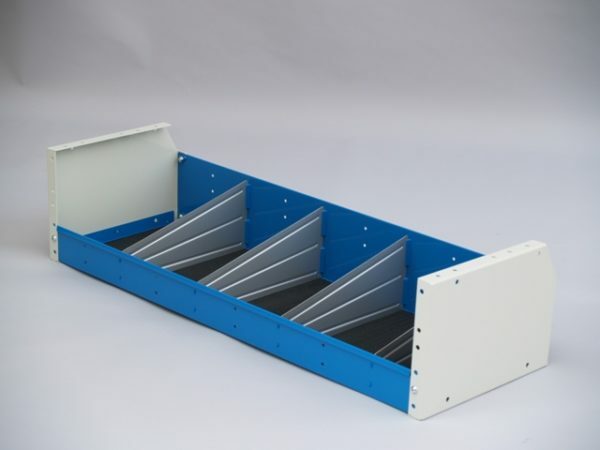 While most Syncro shelves are supported by rectangular side plates, some modules have side plates that are chamfered at the top rear corner. 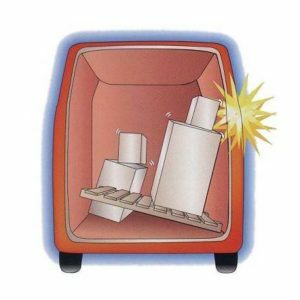 These can be installed right at the top of the van’s side wall, where the roof starts to bend inwards. Instead of being rectangular, both side plates are chamfered or cut away at the top rear corners. 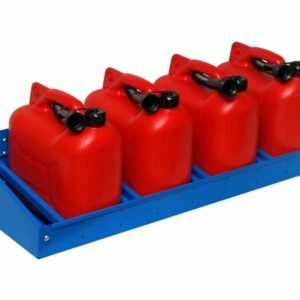 This simple modification often permits an extra shelf unit to be installed on top of other storage units, leading to a significant increase in usable storage space. 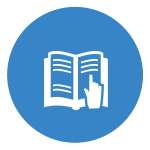 If you compare a Syncro shelf unit with one made by our competitors, you will quickly see the advantages of the Syncro design. 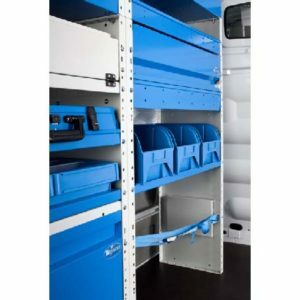 Syncro shelves are modular, easy to combine, and adaptable to all storage requirements and all makes and model of van lightweight and strong thanks to advanced materials and a clever cut-away design that minimises weight without affecting strength designed to give your van interior a clean, elegant and professional appearance extremely functional in terms of capacity, access and security thanks to a combination on non-slip mats and metal shelf dividers. 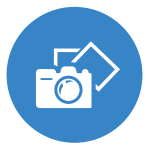 Syncro, the only van fit out specialist who can satisfy your needs – always! 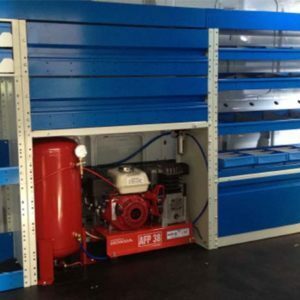 Shelves with chamfered side plates are a typical Syncro solution to a very particular need. And Syncro has plenty of other bright ideas too! For example, we even produce a special shelf to suit the unique design of the Fiat Doblò 2000, which has an unusually shaped left wheel arch. 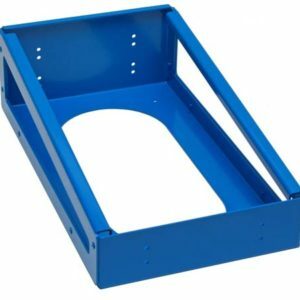 This particular shelf requires a special side plate, deeper than the shelf body it supports.